The building is locked and secured. It does have a touch button at the main door, so you can call the person you are visiting. There is a parking garage attached to the building. 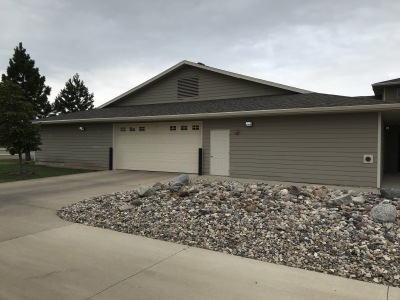 Each tenant has room for 1 vehicle with lots of storage to use in front of their vehicle. 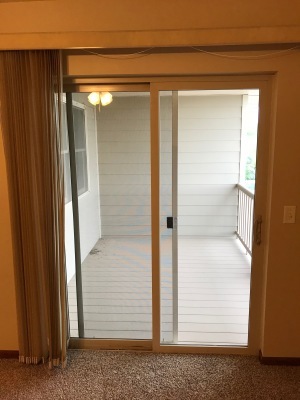 The parking garage is included in the rent price. No need to go to the laundry facilities. 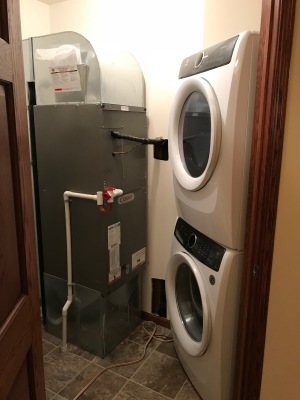 Each unit is equipped with a high efficiency washer and dryer. Each unit has central air and heat for a nice, temperature controlled apartment. There is a fire sprinkler system throughout the entire building. In the event of a fire, the sprinklers will come on. 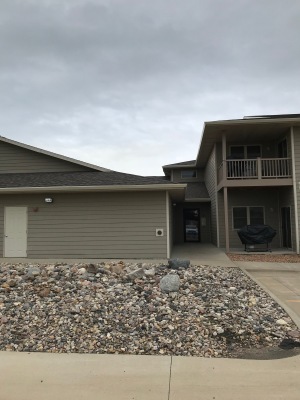 Each unit has a covered patio for you to enjoy the scenery and wildlife of Pierre.